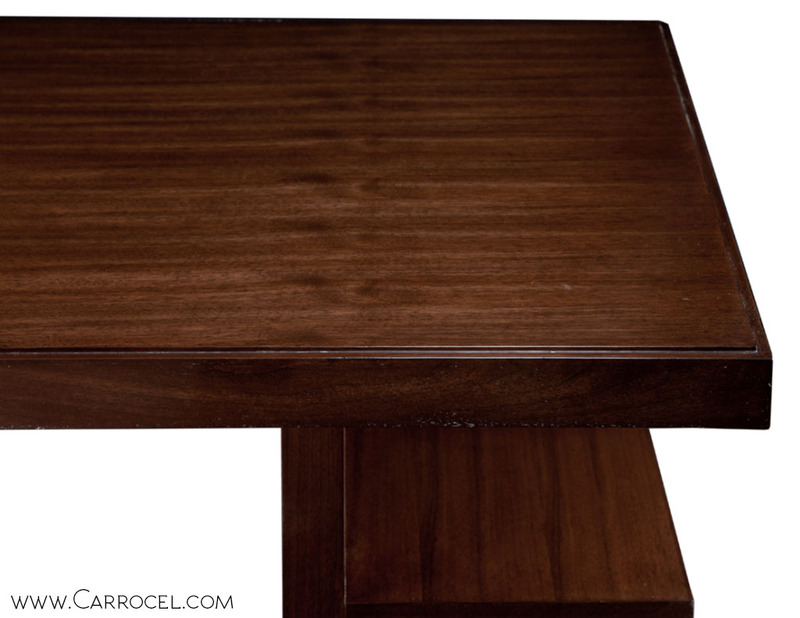 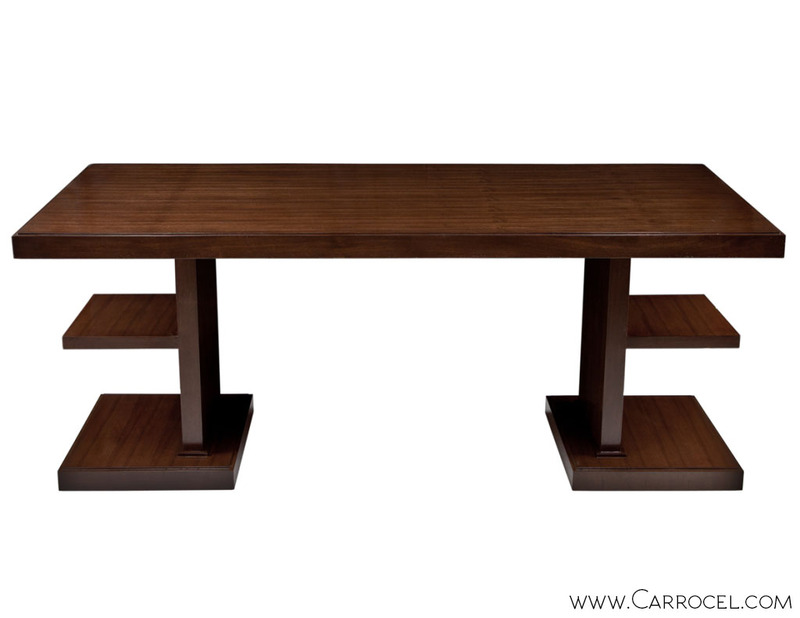 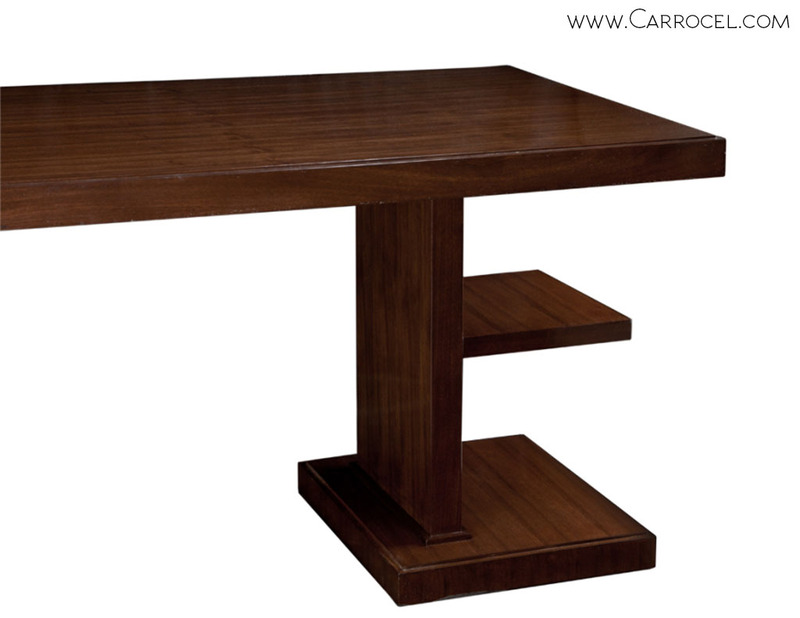 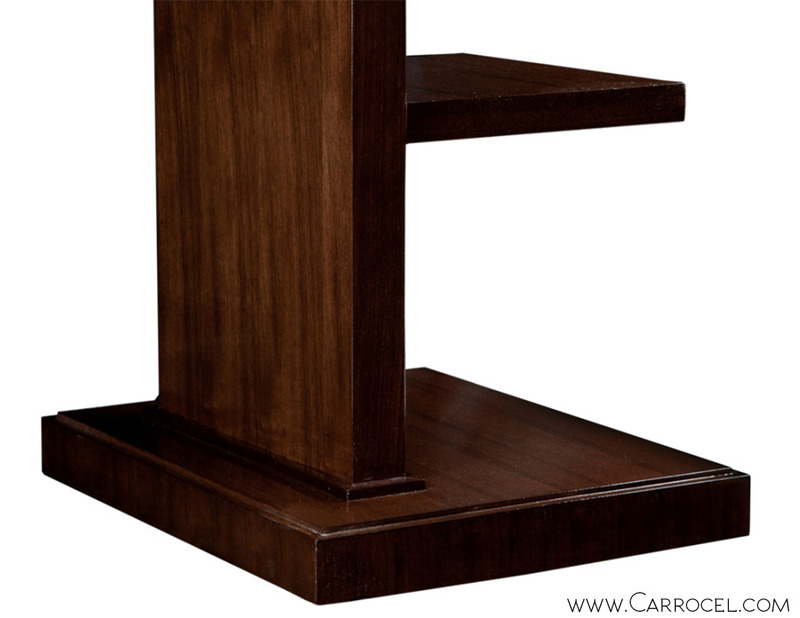 This is a custom made office desk is made and finished here at Carrocel. 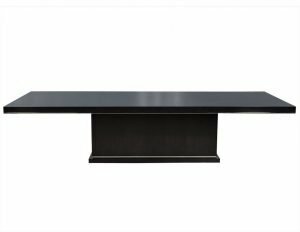 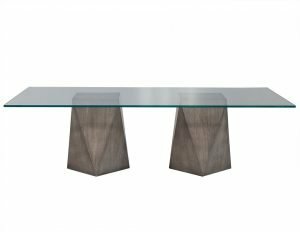 Styled after timeless Art Deco influences, this contemporary desk is perfect for the discerning purveyor of high end furniture. 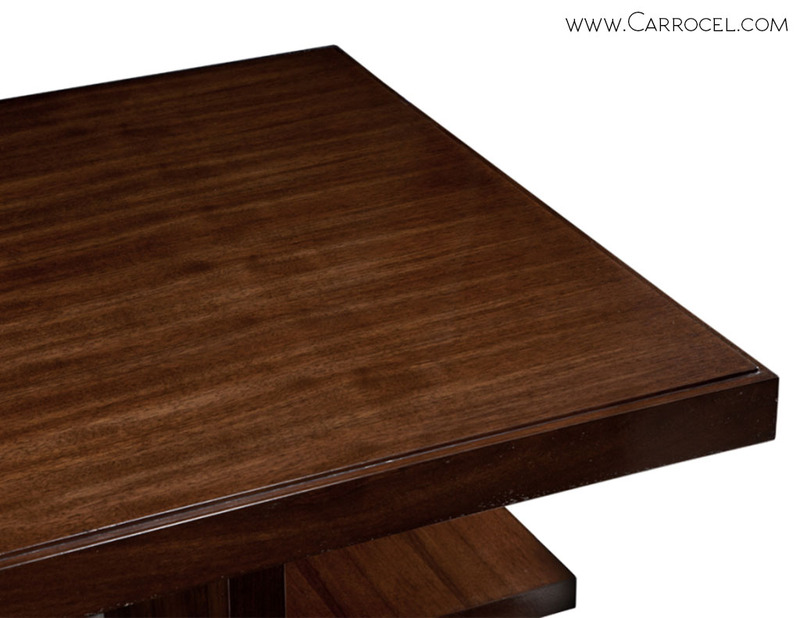 Made with gorgeously figured walnut veneers. 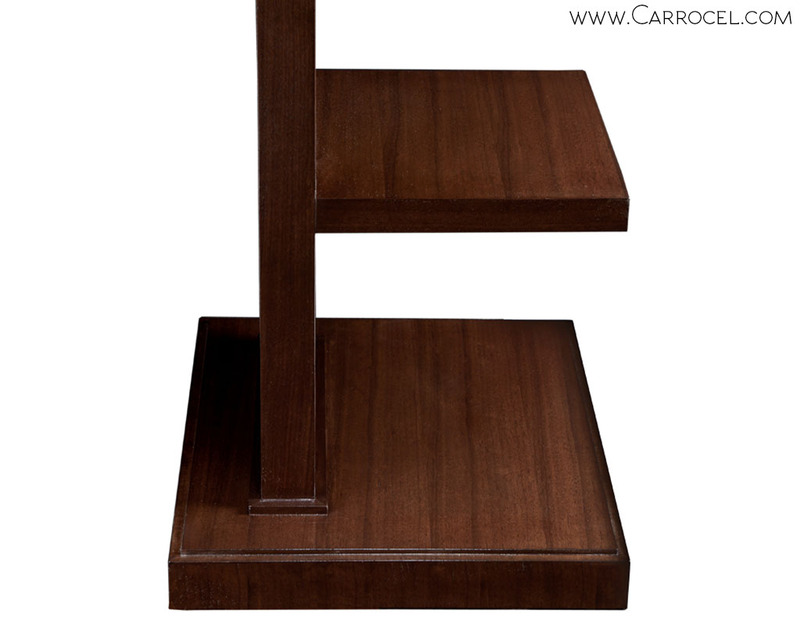 Fully customizable in different sizes and finishes.